Imagine if you turn on the aircon unit and all you could feel is hot air circulating from the vents. There is nothing more frustrating than this. Your aircon system deserves a maintenance after many months of hibernation, so that you could truly perceive the feeling of cool air. If the aircon system lacks cooling efficiency, it implies that your aircon unit no longer has the refrigerant required to blow out cool and fresh air. Air conditioning specialists reveal that an air-conditioner can lose at least ten percent refrigerant per annum. However, with air con recharge, you would be able to get the aircon system back and running. 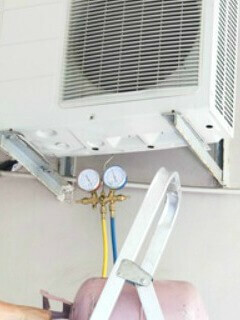 Air Con Recharge, also known as re-gas, is an action of pumping the refrigerant into the system. By disregarding air con recharge for years, your air-conditioning system may fail to perform and act like a heater. Moreover, air conditioning specialists advise that it is good to give an air con recharge once every two years. What does air con recharge do? • Air con recharge tops up the air conditioner system till the allowable pressure. 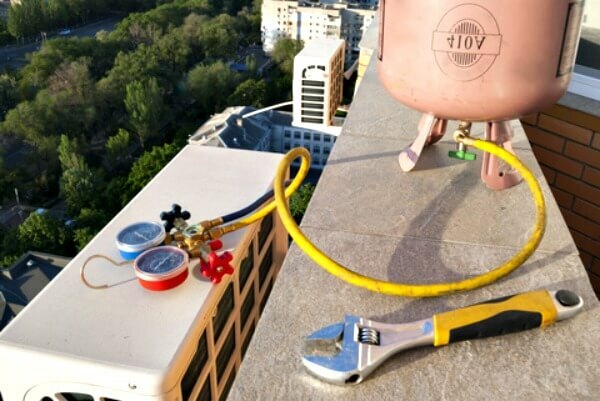 • Air-conditioner is then measure for multiple read-out on the gas pressure, to check for any leakage of the refrigerant. If there is a leakage, it can significantly reduce cooling efficiency and makes the system work harder. Hence the electricity consumption will also increase. • Verifying all internal system controls are working properly. • Looking out for possible defects in the aircon unit like leaks or dilapidated component can also hamper the cooling system. • Wiring is also checked to make sure that it is in suitable condition. • Cleaning evaporators and vents are fulfilled. • Measuring the aircon airflow temperature against the temperature setting to ensure that the air con recharge has given the desirable result. • Applying an additional sanitizer if required to remove foul smell. • Save on electricity bills as the aircon unit can reach the desired temperature faster, it will slow down the unit to consume less power. • Remove foul smell and hot air in the room and welcomes cold air within the area. • Keep the air circulation system rendered spotless and pristine. • Some air-conditioning unit renders noiseless operation as a result of aircon recharge. It is a good practice to give an air con recharge during hot season or before the onset of summer as most of us would be using air-conditioning unit during those period. If the air-conditioning unit is not cooling properly, or if you feel that the aircon is not cold enough with the set temperature, you may also opt for air con recharge. If you bought your aircon unit sometimes ago, it might be a good opportunity to get an air con recharge, to optimize the air-cooling efficiency of your air con system. You might want to call us for any aircon service and at the same time request for a free aircon refrigerant check. And you will only be charged if we did find the air con gas pressure low and performed an air con recharge.